World’s first films were soundless, and without story. Movies were shot without background music and dialects which today forms the basis of each movie. Things continued this way till 1926 when Hollywood studio Warner Bros. introduced the Vitaphone system, producing short films of live entertainment acts and public figures with recorded sound effects and orchestral scores to some of its major features.During late 1927, Warner’s released The Jazz Singer, which was mostly silent but contained what is generally regarded as the first synchronized dialogue (and singing) in a feature film; but this process was actually accomplished first by Charles Taze Russell in 1914 with the lengthy film The Photo-Drama of Creation. This drama consisted of picture slides and moving pictures synchronized with phonograph records of talks and music.. By the end of 1929, Hollywood was almost all-talkie, with several competing sound systems (soon to be standardized). Total changeover was slightly slower in the rest of the world, principally for economic reasons. Cultural reasons were also a factor in countries like China and Japan, where silent’s co- existed successfully with sound well into the 1930s, indeed producing what would be some of the most revered classics in those countries, like Wu Yonggang’s The Goddess (China, 1934) and Yasujiro Ozu’s Was Born, But (Japan, 1932). But even in Japan, a figure such as the Benshi, the live narrator who was a major part of Japanese silent cinema, found his acting career was ending. India was not too far behind. After the screening of lumiere movies in 1895 at London, they came to Bombay in 1896. At first all short films were made by Hiralal Sen, The Prince of Persia in 1898 being the first. The first Indian movie released in India was ‘Shree Pundalik’ by Dadasaheb Torne on 18 May 1912 at ‘Coronation Cinematograph’, Mumbai. AWARD has great importance among the film fraternity!! Ardeshir Irani released Alam Ara which was the first Indian talkie, on 14 March 1931. H.M. Reddy, produced and directed Bhakta Prahlad (Telugu), released on Sept 15, 1931 and Kalidas (Tamil) released on Oct 31, 1931. Kalidas was produced by Ardeshir Irani and directed by H.M. Reddy. These two films are south India’s first talking films to have a theatrical release. As sound technology advanced, the 1930s saw the rise of music in Indian cinema with musicals such as Indra Sabha and Devi Devyani marking the beginning of song-and-dance in India’s films. Studios emerged across major cities such as Chennai, Kolkata, and Mumbai as film making became an established craft by 1935, exemplified by the success of Devdas..!! Success of Devdas proved that the characterization will play an important role in future of Indian films!! As those actors were just singers or performers and wilfully came to the movies it was still not a gentlemen’s furore and was at no cost considered a stage for the women. The film makers understood that, for great portrayal of character and connection with the audience, characterization was imminent which would be glorified only by a technique called Acting. People were about to see what they had only read in the ‘upannyas’ or the great literary works of the great writers and literateurs, the true dawn of Indian Cinema!! Cameras, Photography and Films… Was it all really possible? Do we all remember the boy who had failed and was cast out of the school? Yes, the very same person who wrote HAMLET in the 16th century. This classic written by William Shakespeare came to be included in English literature across the world. As Decades passed by, inventions were being made in every field. Great innovations were in progress, but very few knew that the greatest was yet to come. A running camera with a projector which would show action on screen, where people would actually be able to see photographic images move on the camera. A man walking, a train running! Was it really possible?? In the last two decades of the 19th Century great progress was made in this field. The very first invention was the pinhole camera followed by the camera obscura where the light passed through the lens outside and projected on the screen. And the catch here was that all this happening was live, in real time. Advancements to this technology came about in the 3rd decade of the 19th century when running images were produced on drums and discs. These were independent invention by Simon von Stampfer (Stroboscope) in Austria, Joseph Plateau (Phenakistoscope) in Belgium and William Horner (zoetrope) in Britain. On June 19th 1872, Edward Muybridge successfully conducted an experiment by filming a running horse. The experiment was conducted to see whether all the four hooves of the horses are in the air when he’s running. He placed 24 cameras connected to a wire 21 inches apart, along 20 feet runaway parallel to the horse’s path. These wires would be tripped off by the horse and would take series of pictures. He was able to film frames at the rate of 1000th of a second!! Étienne-Jules Mary invented a chronophotographic gun in 1882, which was capable of taking 12 consecutive frames a second, recording all the frames on the same picture. He used the chronophotographic gun for studying animals and human locomotion. The second experimental film, Roundhay Garden Scene, filmed by Louis Le Prince on October 14, 1888 in Roundhay, Leeds,West Yorkshire, England, UK is now known as the earliest surviving motion picture. Inspired by the works of Muybridge and Jules Mary many people started coming up with their own versions of cameras and projectors but each having some problem or another. There were several inventions like earlier Kinetographe, Kinetoscope, Cinematographe. However Phantoscope was the first device which could click, print and project pictures at the same time. Finally, in 1893 at the Chicago World’s Columbian Exposition, Muybridge gave a series of lectures on the Science of Animal Locomotion in the Zoopraxographical Hall, built specially for that purpose in the “Midway Plaisance” arm of the exposition. He used his zoopraxiscope to show his moving pictures to public, making the Hall the first commercial film theatre!! 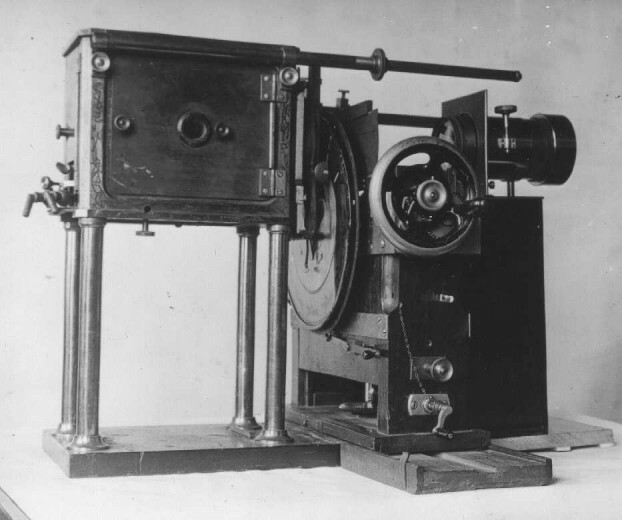 Thomas Edison introduced to the public the pioneering invention based on this innovation, the Kinetograph – the first practical moving picture camera. The silent era has just began. Since the era of human race, a medium of entertainment has always existed which they used for SOCIALISING..Socializing was always in our blood!! It was done in many forms such as fights, music, song and dance! These were were the most common methods of communication. As humanity progressed to civilization , with the acquisition of new cultural elements such as, religion, countries, boundaries and wars, desire for more effective communication grew. It gradually led to non-utilitarian communication, otherwise known as entertainment. Talking of entertainment, one cannot forget the invention of theatre! It all began centuries before the Christ. Art was a very important pillar in the Greek Imperial culture! Specially, theatre was a way of making meaning of reality. Sophocles, Euripedes, Aeschylus and later, Aristophanes initiated the tradition of tragedy, and comedy. Erstwhile Athenian plays hold an esteemed position in the modern world too. Plays like Oedipus, the King probably the most famous play extant, keeps on posing new challenges even for the most modern theatre directors. This dramatic tradition spread from Athens to the rest of the Greek empire to be a part of life for the most common citizens. This lead Aristotle to form his own dramatic theories compiled under the title Poetics. Nobody would have predicted that it would survive and thrive for thousands of years. At this time the entertainment had just taken a big leap!! 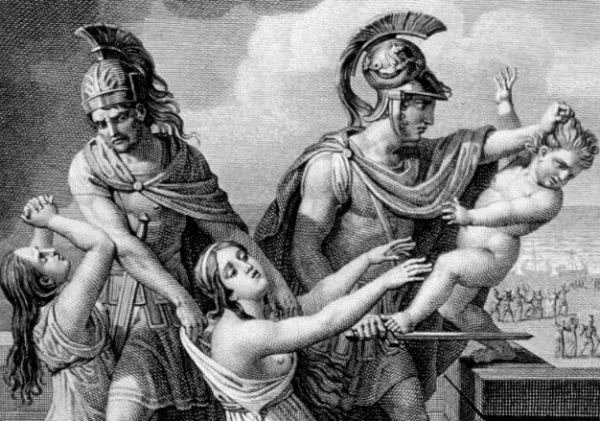 The Roman kings used to hold games to divert the attention of the roman people so that they would not revolt against any loss of war, any social issue or the atrocities of the Emperor. This was a prudent political move for that time. Slaves were trained for months to be gladiators – to fight each other, or wild beasts. The worse thing was that it worked! !No fighting arena has been as glorified as the Colosseum till date. The fiery and blood gushing entertainment had taken its roots. India was much diversified and had their own special entertainment mediums. The puppet and magic show, the wrestling fights and weapon competitions, the classical (dance and songs) and above all the nautanki’s (where the actors would perform story and dance on stage with various backgrounds and musical effects). India had a classical tradition of Sanskrit and Tamil plays to be enacted at the Royal court, just like the Athenian tradition too. Most of the stories were from the Ramayana and the Mahabharata, and the Buddhist Jataka stories. While the epic tales were more rooted in nature gods, the Buddhist stories talked more about the exploits of man and his place in the world. 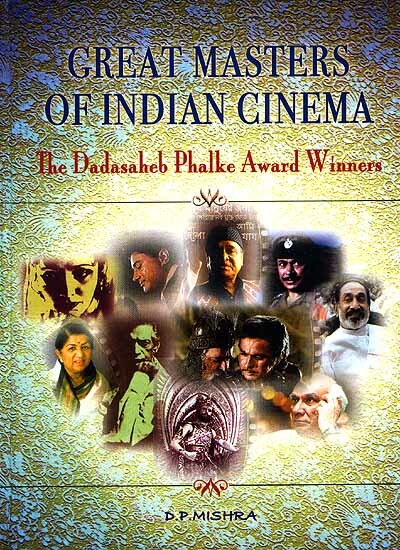 Indian cinema, when it started, took to both these traditions – mythological and social, thus carrying a direct legacy from the Classical Imperial days.